1. The Myer Giftorium was bought to you by 40km of pine, 35km of raspberry decal strips and 8km of plywood – go check it out for yourself, it’s looking mighty fine! 2. You’ll be spoilt for choice with over 2.5 million products to choose from. 3. Myer takes personalised Christmas shopping to the next level with 180 specially trained “Gifticians.” I’ve now decided I’d like to be a Giftician when I grow up. If you want a seamless and stress free shopping experience, you can make a date with a Giftician online for free! 4. 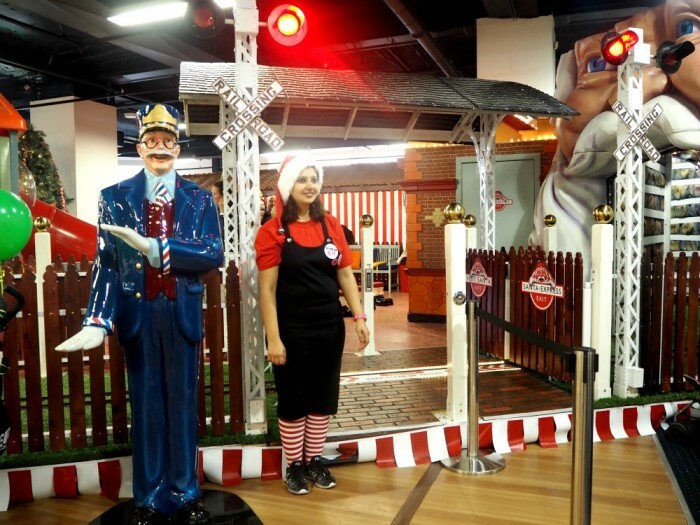 Myer has employed more than 3000 Christmas casuals this festive season, and 980 of them are working in the Giftorium (in those cute Christmas uniforms,) that’s a lot of elf, oops, I mean help. 5. There are seven gift giving themes that will cover all your Christmas bases; For Her, For Him, Tech Guru, Kid’s Cubby, Paw’s Corner, Stocking Fillers and the Food Fanatic. 6. 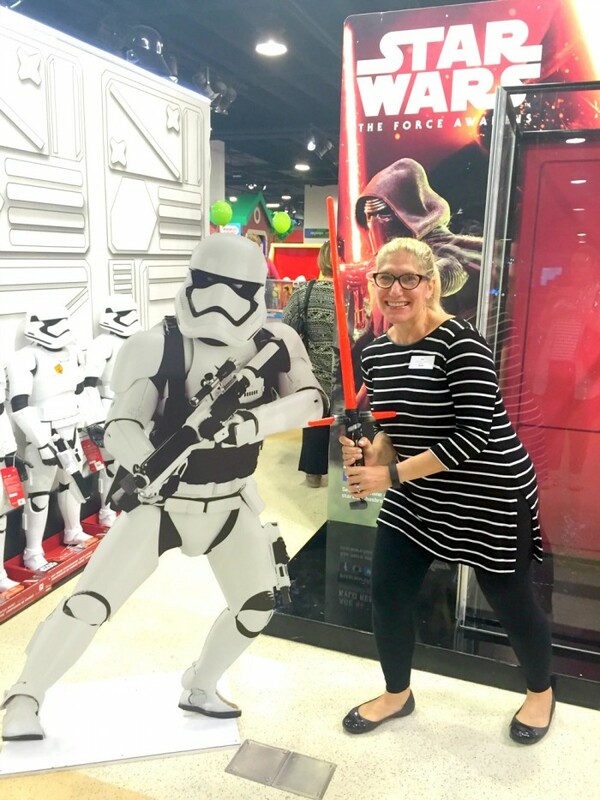 There are over 100,000 items of Star Wars merchandise so the force can really be with someone you love this Christmas. 7 .There are over 120, 000 games and puzzles for the entire family. And don’t get me started on the Disney pop up shop… you can find all your favourite friends, Mickey, Elsa, Woody and more. It’s a Disney lover’s dream! 8. You can get your Santa sack and Christmas stocking embroidered which let’s face it, will make Santa’s job a whole lot easier. Poor guy, how is he supposed to know whose is whose?! 9. Personalisation is so in right now. 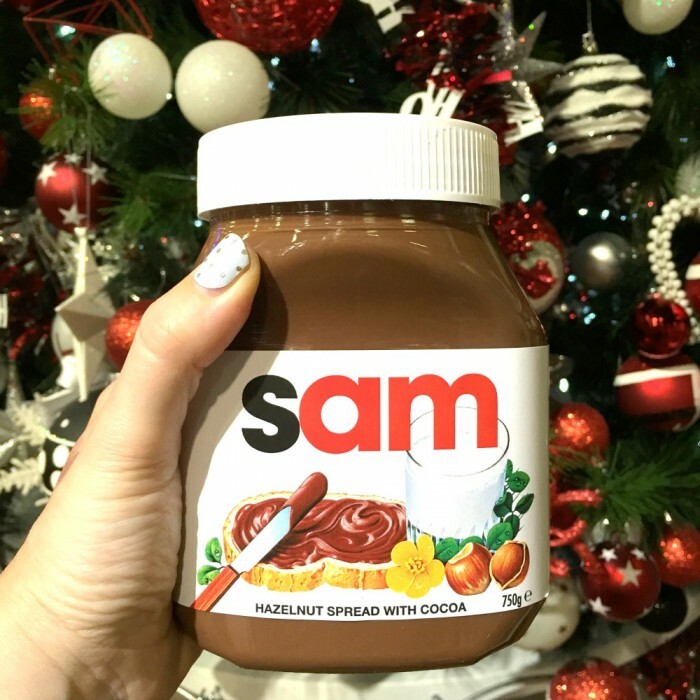 How about a personalised Nutella jar for the chocolate lover in your life? It’s a bargain at only $12.95! And a delicious bargain at that! You can make this ah-mazing Nutella Cheesecake and still have heaps left over! Don’t live near a Myer store? Don’t worry! You can order online! 10. If the man in your life is not a Nutella lover (isn’t everyone a Nutella lover?) you can still personalise a present. How about a customised bathrobe, towel or even a business shirt? 11. 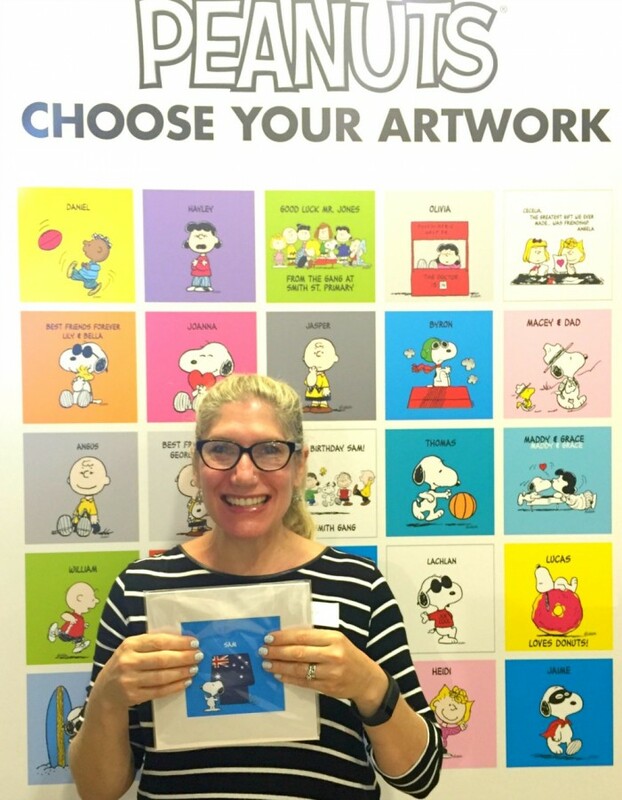 For the kids, (or like me, kids trapped in a grown up body) be sure to check out the personalised Peanuts, Mr Men and Little Miss prints. Cuteness overload. 12. Santa is in residence in Santaland (where else?) No one likes getting cranky in a queue so this year you can book online to see Santa. No queues = no worries. 13. No visit to the Santa Cave is complete without a golden ticket and a ride on the Santa Express. Spoiler Alert: This train comes with a height restriction. It’s probably the only time I will ever say this, but man, I wish I was shorter! Note the height restriction. It’s not often that I’m too tall for something! 14. Kris Smith was the man everyone wanted to meet at the Giftorium launch, but don’t be fooled, Santa is totally the man of the moment. Approximately 120,000 small people are going to visit Myer to have a word in Santa’s ear this year! I hope he has a good memory. Just sayin’. 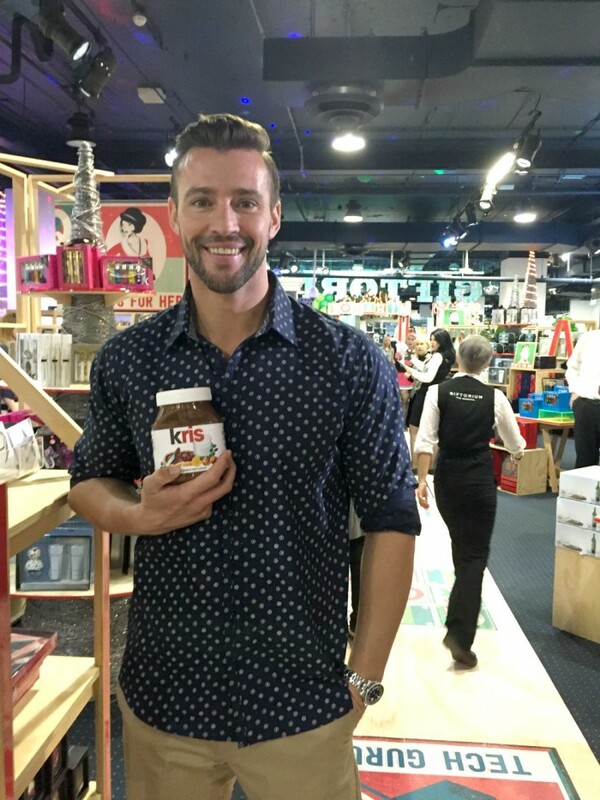 Unfortunately, Kris does not come with the jar of Nutella. If only Christmas wishes came true! 15. If you don’t want to rely on Santa’s memory, you can write a letter to him from Santaland. Santa can expect a sack load of letters from Myer Santalands nationwide (about 25,000 letters to be precise!) If you can’t get in store, you can send him an email! 16. If like me you’re a crapper wrapper, then you can get all your gifts wrapped beautifully and all for free! 17. I’m loving the sound of the All Wrapped Up gift registry where you can choose your gifts, scan your gifts, pay for your gifts, then have them wrapped and delivered direct to your door! Best of all, it’s free for purchases over $100. 18. This year’s Giftorium is bigger and better – by 12% – which takes the total Christmas offering to 40,000 square metres across all stores for Christmas 2015. 19. There’s even a Kriskringle section so you can be Secret Santa like a boss! 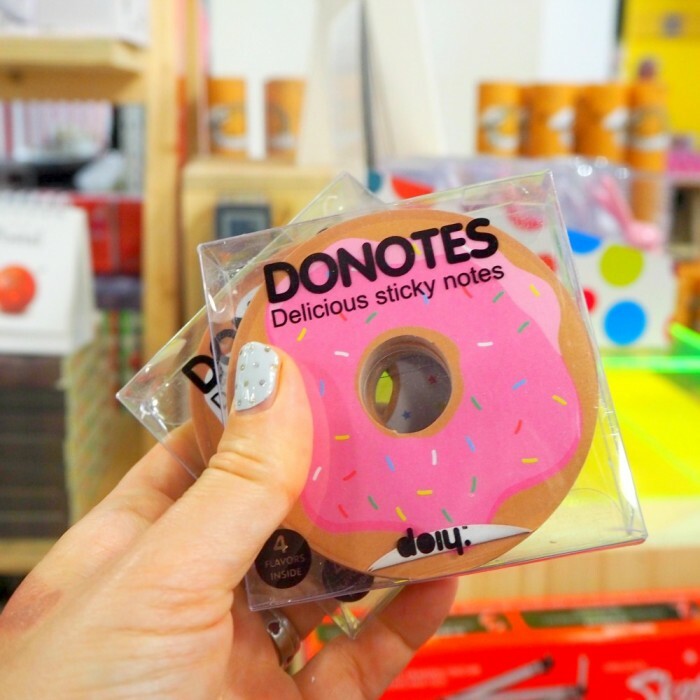 I loved these Donotes, only 10 bucks a pop! 20. Let’s not forget the tree and the trimmings, ‘kay? 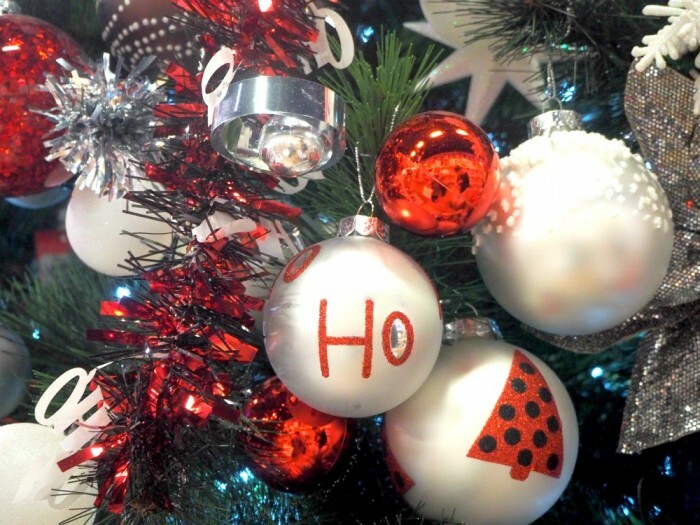 The Giftorium has more sparkle, shimmer and shine than you can shake a fir tree stick at, and if you have no idea where to start with your festive style, there are five themes to put some ho-ho-ho in your ho-lidays! 21. 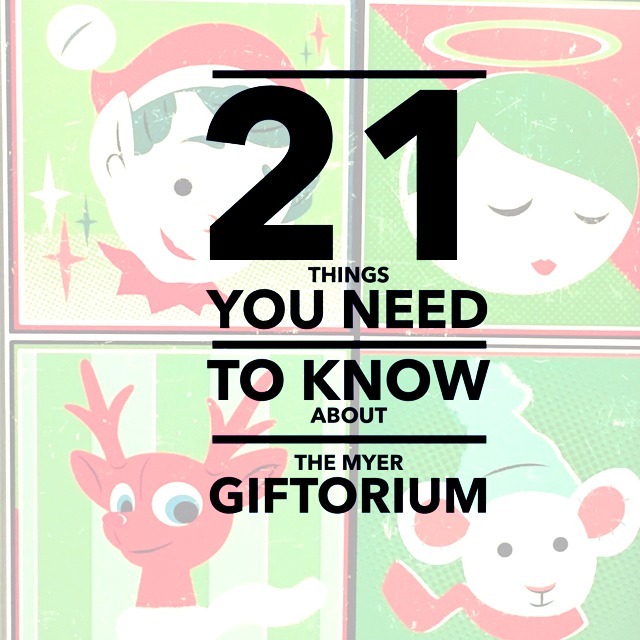 Best of all, there is a Giftorium in every Myer Store and in every computer too, so if you don’t have the time or the energy to shop in store, you can shop online without even needing to leave the house. Are you a fan of Christmas too? If you went to Santaland, what would you ask the big guy for? Nutella – yay or nay? Disclaimer 1: Poor picture quality is due to bad light, hands that shake with excitement and balancing the world’s most awesome goody bag and a camera at the same time. Disclaimer 2: I was given 2 x $50 gift vouchers, an awesome goody bag and was a guest of Myer and Kid’s Business (thanks for having me, guys!) I didn’t have to write the review but I loved it so much that I was sure you’d love it too. This might have been my first visit to the Giftorium but it won’t be my last! And in the spirit of disclosure, Christmas and general oversharing, can I tell you I bought this Marc Jacobs Daisy Rollerball Trio with my $50 voucher and as it’s on sale, I still had change! Not enabling, just sayin’!